Love is the medium of goodness in our lives. If we experience something absent of love, it is very unpleasant and it is counter to the essence of our being. When we experience and express love in varying degrees then our happiness, tends to vary accordingly. If we can get a better sense of what "true love" is , then I think, we can also find an easier pathway to true happiness. In romantic visions of love, our true love is envisioned as a kind of "ultimate puzzle piece" to our souls. It is this one person who can fulfill us and make us happy. But in reality true love is nothing like that at all. True love is unconditional love. It is accepting and loving in all circumstances. True love does not say, "well if you behave, if you fulfill certain conditions .. then I will love you". True love says "in any kind of condition or circumstance I love you." A person who can express unconditional love will naturally also experience unconditional happiness. 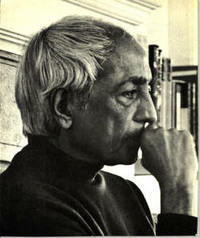 Krishnamurti had brilliant teachings on this subject, and he said essentially (and I paraphrase here) "love with any kind of pre-conditions or requirements is in fact.... not love at all , it is just conditional flattery or vanity". If you begin to delve into this clear notion of love I think you will find it be quite transforming. It asks you to really look at yourself and say, "am I serious about real love, or am I just going to remain mystified by an idea of love that has conditions ?". I have found that when you start to remove all the conditions and express love truly and unconditionally, happiness flows for you and all others. In the end these conditions we like to extract on love are false and illusory. They are based on cultural concepts, false notions or misconceptions we hold solely due to our own ignorance. Take the time to objectively examine all of the conditions you place on love, ... and then... one by one, ... throw them away. It is only then that you will actually experience love as it truly is. An "idea of love" is not love, and thus an "idea of happiness" is not happiness. If you just live out the reality of "true love" then you will also find that you will begin to be "truly happy".